When people are first told that they need to use iTunes with their iPod, the first question people want answered is How Can I Get Free Itunes For My Ipod? Well, you are in luck because iTunes is a free program that you can simply download and install. To do this, click here to install the latest version of iTunes. Now, we have iTunes installed but we do not yet have any music present. So, let’s answer the question how do i download songs onto iTunes? As we always do at ThisIsHowYouDoIt.com, your home for how to videos, we will find the best videos that address this topic. Following that, we will present you will good text-based articles on how do i get my songs on iTunes for people who prefer to read about the topic rather than see it through video. Below, you will find all of the best Internet how to videos on How Do I Get My Songs On iTunes. Simply click the links to launch the video in its own window. Enjoy the shows! This is a quality video on how to download music on iTunes. In the video, we see how to convert your existing CDs into the iTunes format by placing the CD in your computer and then importing this CD into iTunes. This video teaches you both how to import an entire album into iTunes and to import a single song. The focus of this video is simply importing your CDs into iTunes, not songs that you already have in MP3 format. This is a quality fun video that teaches us how to get songs from CD, to iTunes, and then shows us how to make the final transfer to the iPod. This is also addressed on our how to page entitled how do you download songs onto an ipod. This is a quality, informative video that lasts just under 3 minutes. For many of us, we already have our music on our computer in MP3 or some other format. Perhaps, in the past, we used Windows Media or some other player. In these instances, we need to know how to take existing songs from our computer and transfer them into iTunes. This video answers the question How Do I Get My Songs On iTunes from my hard drive. It’s another quality video that is well done and last just over 1 minute. Well worth the watch. If you do not know Limewire is, then this video is not for you. Limewire is a program that allows you to download songs from the Internet free of charge. Like its brethen of yesteryear–Napster–many people claim that Limewire should be shut down because too many songs are illegal. But we’ll leave that for other people to discuss. Many people, after they buy an iPod, need to transfer music from Limewire to iTunes. This video (which has very low audio) shows you how to do just that. Basically, you simply need to know where the mp3 files reside on your computer (find this in the Limewire | Options box) and then follow the instructions above which teach you how to add files from your hard drive to iTunes. This video is just ok, with low audio and a “dude” quality amount it (you’ll see what I mean). Bottom Line: Not very professional but informative. This video is another quality video and teaches you two ways to download songs onto iTunes. It is a professional done video and lasts just over one minute. We realize that not everyone wants a video and that some people prefer to print out and read the instructions on how do i get my songs on iTunes. This section is for you all. Enjoy the articles below with the requisite steps for downloading songs onto iTunes. How to Import Songs into iTunes: This is a quality article, short and sweet, with all the steps that you need to perform to get music from a CD or your hard drive into iTunes. iTunes and You: This is an older article but still quality. It addresses the same issue as above but also teaches you how to simply drag music into iTunes without using the Add Folder to Library Choices. Adding Folders of Music to iTunes: You will find this page from About.com very useful with its detailed step by step procedure on how to add your music folders to your iTunes library. When you buy a new iPod, you have to use iTunes to transfer music from your computer to your iPod. However, before this is done, you actually need to transfer all of your music into iTunes. One, your music exists on CDs. 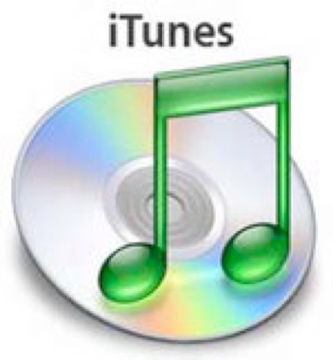 We have presented several videos and text articles on how to transfer your CDs into iTunes. Be forewarned: this can be a time consuming process especially if you have lots of CDs. In fact, if you don’t want to do, there is a local company in your area who specializes in converting your CDs into MP3s. Two: Your music exists on your hard drive. Many folks already have their music on their computer or an external hard drive. For them, it is simply a matter of importing that music into iTunes. This does not create a “duplicate copy” of the music…it simply lets the iTunes library know exactly where you have your music files stored. Our goal was to answer the following three questions: (1) How Do I Download Songs Onto iTunes? (2) How Do I Get My Songs On iTunes and (3) How Do I Download Music On iTunes. All of these three questions are essentially the same. The goal is to get music into your iTunes and we have shown you how to do this. Next step, read how do you transfer music to an iPod?